Need a set of Rear Parking Sensors fitted to your car in Essex? We do a excellent range of parking sensor products to suit every budget. We offer ParkSafe for customers that are looking for sleek parking sensors while on a budget. or not requiring the parking sensors to be flush mounted within the vehicles bodywork. They are raised around 1mm from the car body meaning even the entry level sensors we offer still look sleek. Parksafe sensors give an excellent reliabilty and performance and that is why we offer a full 3 year warranty for complete piece of mind. We can proffesionally colour code all our parking sensors to look very sleek and match the original vehicles paintwork perfectly. Cobra do the latest flush mount fit sensors, these are 17mm in size meaning they are very small. The sensors mount from the inside of vehicles bumper. 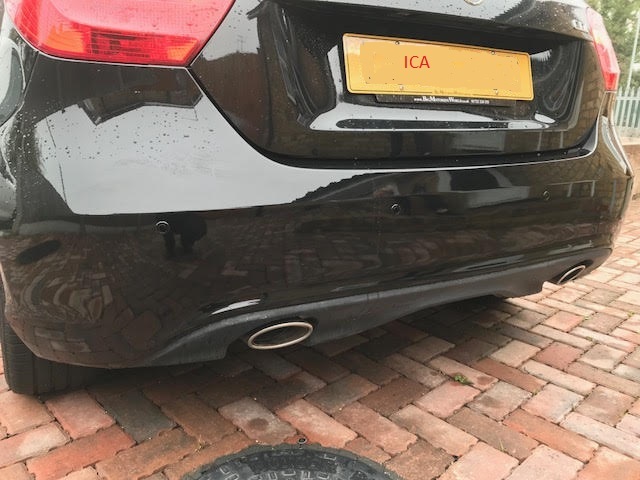 Then they are perfectly adjusted to sit within the hole that’s drilled so they sit flush giving them the original fit look, VW and Audi ( known as the VAG ) group all use Cobra for there parking sensors which gives you complete piece of mind knowing you have the best possible product installed on your vehicle. All our rear parking sensors can be professionally colour coded to match your vehicles paint. We are fully mobile and come to you in the local Essex area.